Mother’s Day is the Super Bowl of floral sales—but how much are people actually spending on flowers for this special holiday? And what, exactly, are they looking for? The more you understand about consumer trends, the better prepared you’ll be to serve your customers and take advantage of this important floral holiday. To help, we’ve pulled together a few key insights and expected trends in Mother’s Day floral sales for 2018. Here’s what you need to know to get ready. And it’s easy to see why. Potted plants like phalaenopsis orchids retain their blooms for up to three months with proper care and can rebloom for years to come. The long lifecycle of orchids and the ease of care—water once per week with three ice cubes—is a key factor in their popularity. In a 2017 JustAddIce consumer survey, 75 percent of buyers said the longer lifecycle motivated them to buy, while 95 percent said the average in-store purchase price of $16 was fair. Although flowers are still the most popular Mother’s Day gift, many shoppers are pairing flowers with another gift. A spa experience was the top choice, with 55 percent of shoppers opting for a spa package, according to Trendsource. You can save your shoppers an extra step by pairing a floral purchase with an additional gift for them—like a box of chocolate or a gift certificate to a restaurant. You could even coordinate with local spas in the area to offer a potted plant as part of a special Mother’s Day spa package. Like most holidays, you’re bound to have plenty of shoppers procrastinating on their gift buying, even up until the day of. The majority of respondents to the Trendsource survey (67 percent) said they plan to buy their Mother’s Day gift the week before. Do your best to maintain your stock leading up to and on the actual holiday so last minute shoppers will have quality choices. 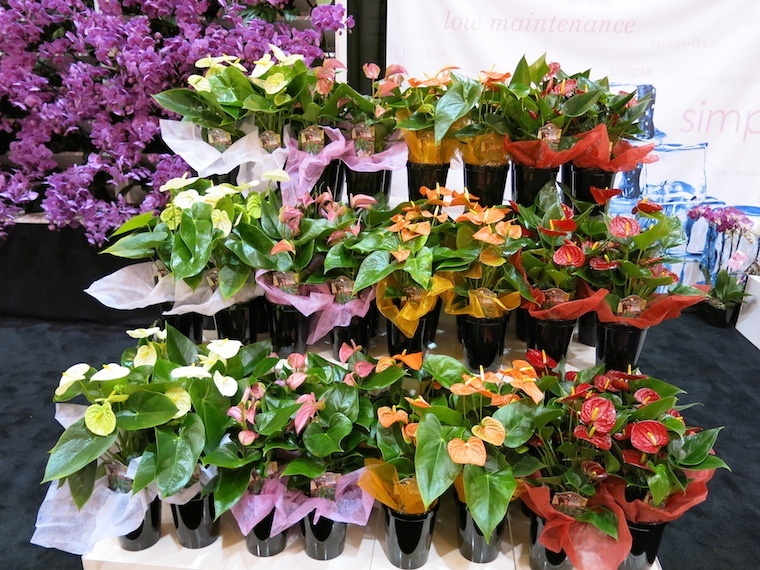 To ensure you aren’t only selling wilted bouquets by Sunday, you can also stock longer-lasting houseplants that will stay fresh on the shelves, like orchids or anthuriums. Not only will you not have to worry about excess bouquets dying, but you can also offer your customers a unique selection of products. Although the average per-person spending cited by the National Retail Federation was $186, Trendsource found 83 percent of respondents planned to spend $100 or less. And millennials are planning to spend 45 percent more this year than previous years. This is likely indicative of this age group growing more financially stable as they advance in their careers. Still, it’s smart for floral sellers to offer products with a range of prices to cater to a variety of different budgets. Consider offering both large and small bouquets, as well as both full-sized and mini houseplants. Twenty-five percent of shoppers who responded to the Trendsource survey said they planned to use a mobile app to purchase a gift. Even if the majority of your offerings are in-store, it’s important to think mobile when you consider your advertising and promotional efforts. Is it easy for customers to see what you offer when they visit your website and social media pages? Can you use mobile outreach to bring them to your store, such as posting a specific discount only for Facebook followers and then tracking how many in-store responses you get? Armed with this knowledge of consumer trends, your floral sales can get ready to skyrocket this Mother’s Day. Make sure you’re stocked for the big day. Click here to sell our orchids.